“Unexpected passive structures in Romance: indicative of deficiency in the verbal domain.” Going Romance XXXII. Pòster. Utrecht, 11-14 de desembre. “Indirect object passives in Spanish and Catalan: Really indirect?” 28th Colloquium on Generative Grammar. Pòster. Universitat Rovira i Virgili. Tarragona, 30 de maig – 1 de juny. 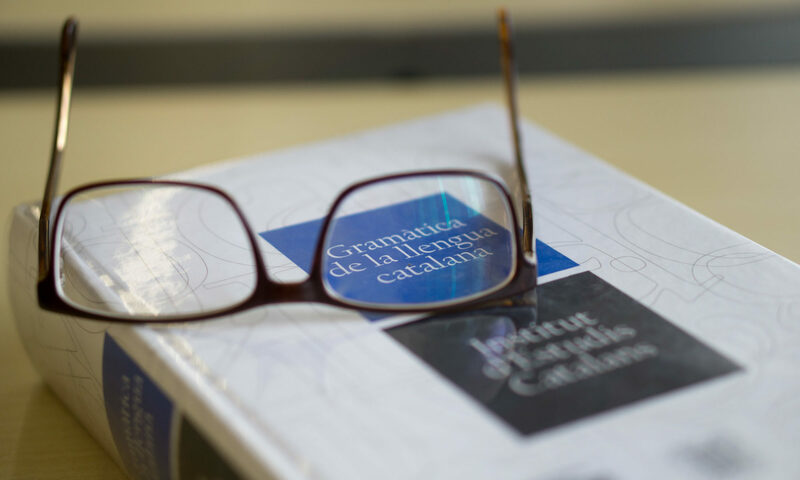 “Unexpected passive participles in Catalan”. Passives. A crosslinguistic workshop. Pòster. Viena, 16 i 17 de setembre. “Unexpected passive structures from prepositional verbs in Romance”. vP Workshop. Cambridge, 19 de juny. “Valuating Aspect in Spanish Verbal Participles”. Hispanic Linguistics Symposium. Georgetown (Washington D.C.), 7-9 d’octubre. “Types of Spanish Past Participles according to their aspectual structure”. 13th Workshop on Syntax, Semantics and Phonology. Universitat Autònoma de Barcelona, 30 de juny i 1 de juliol. “El lado pasivo de la atribución” (amb Federico Silvagni). XII Congreso Internacional de Lingüística General. Alcalá de Henares, 23 – 25 de maig. “Las construcciones pasivas del español: ¿atributivas frustradas? ” (amb Federico Silvagni). XLV Simposio de la Sociedad Española de Lingüística. Jaén, 19-22 de gener.